World-class service for your Audi. Convenient, pre-paid, factory-recommended, scheduled maintenance service and peace of mind, from the people who know Audi vehicles best. 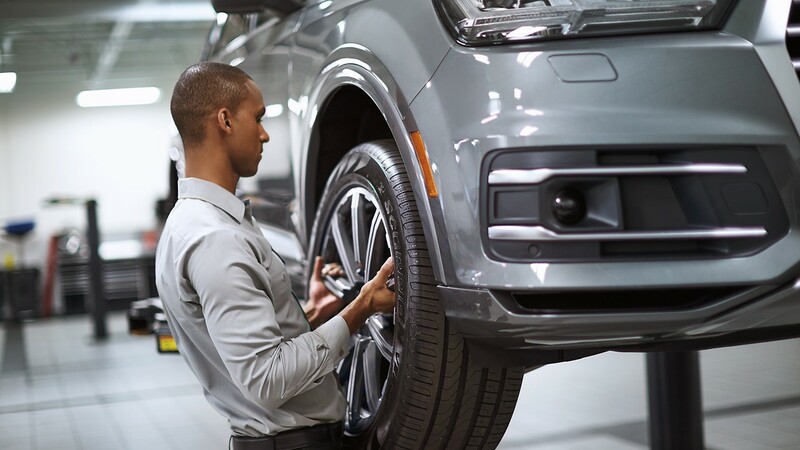 After your complimentary 10,000-mile or 12-month scheduled maintenance service, a single Audi Care package covers four subsequent scheduled maintenance services. Audi highly recommends that a maintenance service be performed every 10,000 miles or 12 months, whichever occurs first. Actual scheduled maintenance services vary based on vehicle model, model year and mileage. See vehicle Owner’s Manual for details. Savings based on a national average of Audi dealer labor costs, vehicle model and model year. Actual savings will vary.